The point-blank assassination of the Belfast lawyer, who was gunned down in front of his wife and children as he ate his Sunday dinner, remains one of the most controversial state killings in the North. 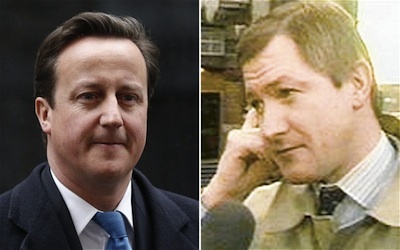 Last year, Cameron made an apology in the British parliament to the Finucane family, admitting “shocking” collusion in his murder between Loyalist paramilitaries and the RUC. However, he denied any political conspiracy existed, while refusing a public inquiry which could have exposed that claim as false. Mr Cameron was accused of perpetuating a “massive injustice” for his continued refusal to allow a public inquiry or to admit that the collusion was politically sanctioned. In a hearing in Washington DC this week, Mr Cameron was accused of seeking to protect politicians and senior British government officials who had turned a blind eye to the murder.